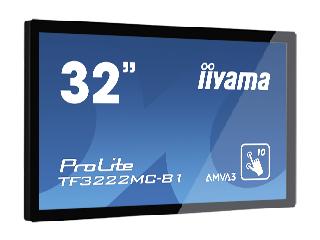 iiyama is one of the world’s leading manufacturers of interactive touch screens. Efficiency, performance, reliability and user comfort are all key to the development of iiyama products. Portsmouth Communications is proud to be working with iiyama to provide their industry leading interactive technology. As a leading manufacturer of touchscreen solutions in Europe, iiyama has one of the broadest portfolios of touch monitors which use the latest technology available. The high quality range guarantees stable, drift-free operations and unprecedented durability. Their wide variety of products provide offer many features including bezel-free displays and open frame monitors in both standard and widescreen formats, allowing you to choose the solution most suitable for your business needs. 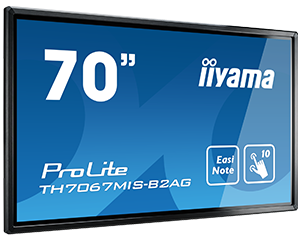 iiyama’s comprehensive range of Touchscreens includes single-touch monitors based on the latest surface acoustic wave or 5 Wire Resistive technology and a multitouch LCD based on the latest optical sensor. As the screen is covered with a glass layer, this technology offers great picture performance (high contrast and colour accuracy) and scratch-resistance making it the ideal choice for use in public areas. Moreover, even if the screen is scratched, the touch function remains unaffected. Surface Acoustic Touchscreens are activated with finger or a special stylus. including industrial areas and retail. The optical touch technology does not rely on an overlay or substrate to register a touch event, so it’s impossible to physically “wear out” the touchscreen. In fact you don’t really have to physically touch the screen. You just need to put your finger (gloved or not) or any kind of stylus very close to it. The optical technology ensures great picture performance. As there is no overlay or substrate on the screen the display characteristics remain virtually unaffected by the touch function. Thanks to the glass overlay this technology is highly durable and the touch function remains unaffected even if the glass is scratched. It offers perfect picture performance and will work with finger (also latex gloved) and a special (conductive) stylus. Why not speak to our Audio Visual team and they will help you select the iiyama product best suited to your needs. Prefer to talk to someone? Give our expert sales team a call and they will be happy to answer any and all of your Interactive Touchscreen related questions.